Suspense can add the all-important element of uncertainty to any story, and is therefore a vital element in the author’s toolbox. By getting the balance of pacing right, authors can compel readers to keep turning the pages.During this workshop they’lllearn a variety of techniques to play on that uncertainty to squeeze every bit of emotional value from their characters. This workshop has been delivered face-to-face at the Clare Writer’s Festival and Eyre Writer’s Festival by Sandy, but has been newly developed for online presentation. It combines colourful handouts, tailored feedback, videos and live chats to engage participants. There will be plenty of opportunities to apply the learnings to individual work. 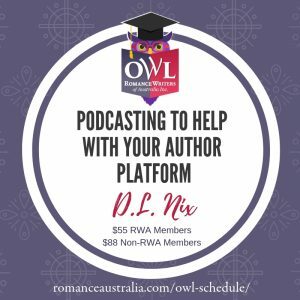 Sandy draws on skills that have resonated as she cultivated her literary craft, from workshops, mentoring, judging romance competitions, and professional editors. She’s honed her ability to convey information in a way that resonates with others, through critiquing, judging literary competitions, and presenting workshops. By incorporating her past life as a chef into the workshop, she infused it with culinary flavour and comparisons, that make it light hearted and delicious. 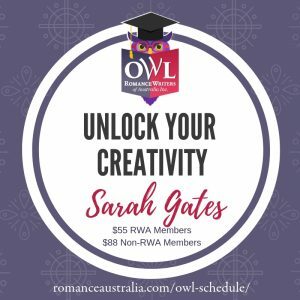 Sandy has presented online and face-to-face workshops for RWA, Savvy Authors, Eyre Writers’ Week, The Clare Readers and Writer’s Festival, and SA Writers’ Centre. A strong believer that learning outcomes are increased through collaboration and sharing, so she encourages this in a safe and nurturing environment; however, those who aren’t comfortable with sharing, are welcome to email their homework. Understand why suspense is a valuable element in all stories. Recognise how suspense is different in each genre. Develop an understanding ofthe role emotions play in creating tension. Identify opportunities for suspense, and learn how to enhance them. Practice applying suspense-generating techniques to their own work. What is suspense and why we need it. How suspense affects story pace. Different types of suspense for different genres. Suspense devices, e.g. delayed gratification, pacing, red herrings, foreshadowing, and withholding information. Use suspense to enhance conflict, pace and character development. Hooks, from killer openings to cliff-hanger endings.